Marcus and Lena Fulford are the envy of their friends. Wealthy, attractive and successful, the couple, with their strikingly beautiful teenage daughter Amy, seem settled and content. But appearances mask a strained relationship almost at breaking point. Marcus's latest business venture has failed, draining Lena, the major breadwinner, dry. Putting Amy into weekly boarding school and striving to get her own career back on its feet, Lena remains alone in the luxurious family house as her marriage heads towards as amicable a divorce as she and Marcus can muster, and joint custody of their only child. So when Amy arranges a sleepover with a school friend one weekend, neither parent sees the need to be in touch with her. It is only when Amy is reported missing from school and her friend's mother reveals that, instead of staying with them, Amy was visiting her father - a fact vehemently denied by Marcus - that Lena contacts the police. DI Victor Reid, in charge of the case, fears the worst - abduction or murder. 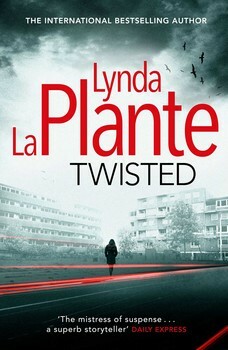 A family under constant police and press scrutiny, a father who has seemingly lied about his alibi for the weekend, a mother whose perfect world is crumbling beneath her feet, a detective under pressure from his impatient superiors to deliver a result, the length of time that Amy has been missing gathering speed… all conspire to make Lynda La Plante's latest thriller her most tense and terrifying yet. Marcus and Lena Fulford are going through what they both insist is an amicable divorce process, after a separation of two years, when Marcus decides to accelerate things by bringing their lawyers together to discuss the terms of the divorce settlement. Almost immediately Amy goes missing during a weekend when she is supposed to be having a sleepover at a friend's house. Lena reports her daughter's disappearance to the police and they launch an investigation. Amy is not found and Di Victor Reid suspects that her father may have had something to do with her disappearance. The misper investigation drags on and is handed over to a murder squad and that is when things get interesting. This is quite a long novel and I changed my mind several times about what the ending would be, but not once did I really get it right!